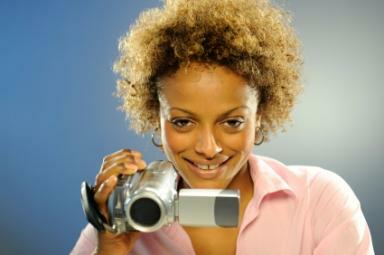 Could you be the next YouTube sensation? If you are wondering about the top YouTube makeup personalities, then read on to get the scoop! The top YouTube makeup personalities have not only gone viral, but like, Lauren Luke, they've made their way into the mainstream media. Here's the list you need to know. Lauren Luke, or Panacea 81 as she's known on YouTube, is truly an internet star and stands alone when it comes to makeup tutorial videos. Delightfully charming, down to earth and knowledgeable, this one-time cab dispatcher and mother never dreamed she'd become the international makeup star she is today. Her turning point came during a video tutorial of singer Leona Lewis's makeup from her Bleeding Love music video. Now with her own makeup line, By Lauren Luke, and a book, Lauren Luke Looks, the sky's truly the limit for this internet sensation. Known for: Luke is known for her effervescent personality,and wide and varied, but easily replicated, makeup skills. Michelle Phan's good looks and deceptively simple makeup videos make her a rising star. Ms. Pan's face seems to transform and mold itself to the type of makeup she happens to be showcasing. Whether she is teaching viewers how to achieve Lady Gaga's look in Poker Face or helping them get brighter-looking eyes, there's no doubt that Ms. Pan certainly knows what she is doing. Known for: Simple videos, with little or no speaking, and elegant black and white lettering that relays the exact steps to the look. Kandee Johnson has an unforgettable face, and even better, this YouTube makeup personality star knows how to not only apply makeup, but to convey it in a way that is easy to understand. A makeup artist, Kandee does talk trough her makeup videos, but her comments about the makeup looks are actually quite helpful. For example, in her Megan Fox Makeup Video, she discusses the fact that her lips are not quite as full as the actress, but then shares how she goes about plumping them up. This is quite helpful information to those that may also need help in making their lips appear fuller. Known for: Her incredibly bright smile conveys this makeup artist's vivid and magnetic personality, as well as the fact that she often takes her viewers' comments and suggestions, and spins a video out of them. Pixiwoo, whose real name is Nicola, has a wonderfully calm demeanor that is quite a contrast to some of the other makeup tutorial stars on YouTube. Moreover, according to the Illamsqua blog, the makeup star is one half of the Pixiwoo videos, and actually works at Selfridges London. No matter which site you visit, either YouTube or the BlogSpot, there's no denying that Pixiwoo is a talented artist. Known for: Her elegant recreations of famous celebrities, like Sophia Loren, or days past. The Fowler sisters have been featured on Good Morning America, and when you see their videos, it's easy to see why. Their bright, funny and slightly quirky senses of humor have helped to make them a niche sensation. Even better is the fact that their makeup videos all feature styles that are easily transferable to everyday life. Teen focused, their videos feature wonderful styles that look equally great whether hanging out at the mall, or heading out the door on your way to school. Known for: As a dynamic duo, both sisters are pros at achieving a myriad of makeup styles, including looks that can be worn a variety of venues. You Tube makeup videos are a great way to teach yourself a specific style and are equally great at helping you get inspired. The tutorials are often accompanied by personalities that are fun to listen to and knowledgeable about their craft. In light of all that, is it any wonder that these videos are such a hit?